So said, Gemma Greaves, ceo Marketing Society, as she introduced this year’s conference at the Science Museum. In 2016 I praised the conference content but remarked about the lack of gender diversity on stage. As a result Gemma recruited me to her conference panel for this year. Let’s get that elephant out of the room first of all, the gender balance this year was significantly better, and the first 5 to speak on stage were women. The theme for this year was Brave. Dr Emma Barrett OBE dissected bravery giving 5 key tactics of a brave leader. Remember the motivation – the bigger the why for being brave in the first place the better – you need passion about the cause. The extraordinary Raha Moharrack who is the first Saudi women ever to climb Everest gave us an insight into her motivation. Her dad said no to her when she asked him if she could climb a mountain. That “no” made her more determined than ever to do it anyway. “the word grew fangs and tore at my soul”. Turning anger into fuel is a great way for getting you places, including of course up a mountain. Two outstanding marketing chiefs then brought us back to bravery in work. Syl Saller (Diageo) and Andrew Clarke (Mars) described how and when they’re brave. Syl described the importance of owning the selling of a brave initiative – that you must convince your boss, your colleagues, your team and always yourself. Andrew explained the need, especially in times of retrenchment, to share, to trust, to explore and to let go of control. Dr Barrett used extremes of physical danger to illustrate brave techniques. Moharrack said that despite climbing mountains (in what looked like atrocious conditions), her most scary moment was when she sent an email to her father appealing to him to change his mind and give his permission and his blessing to her first adventure. Fear of her father trumped fear of falling. Fear of disapproval can paralyse people in the workplace. We want cast iron substantiation when we challenge, when those who we are fearful of challenging may simply want to hear a different point of view and an alternative hypothesis. Let’s remember that even if we don’t win the argument we won’t fall off the mountain. 2018 is the time to be brave. I always want more feedback on how I’m doing. My ceo Josh Krichefski reminded his board recently to seek feedback frequently and act on it. Feedback at work has evolved from a formal review of progress by your boss to the more rounded 360 as a norm where your boss, your team and your peers all have a say about how you’re doing. Opinions differ on how frequently should you have a review. In some businesses teams score each other monthly on performance. Some keep the main review to an annual cycle and suggest quarterly kpi checks. There are clearly pros and cons to each. The first seems like it could be endless with many working hours a month taken up by the feedback process. The second only works if you have very trusted team members – there’s lots of room and time to hide inadequate performance if the annual review is the key performance measure. Both of these feedback cultures are too slow and ponderous. They’re too formal. They’re too parent child. Feedback should be every day, every meeting, every encounter. Instead of parent child, teacher pupil, team leader to team member the feedback loop should be expert to expert. Continuous marginal improvements instead of weighty critiques. Like a fabulously famous actor and director working with A-list actors on his movie set. Branagh’s answer was interesting in two ways. First he talked about the fact that he went through a phase when he was crippled by nerves. Now, instead, he doesn’t consider himself nervous, he considers himself excited. Nervous makes you doubt everything, excited makes you step up. 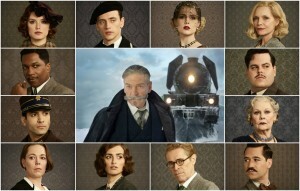 Secondly he said that when you sit down to do a scene directing Johnny Depp it isn’t a one way process. Sure Branagh gives Depp notes (the actorly term for course correction) but in return and in the moment Depp critiques Branagh’s performance as well. This is the feedback framework that we all need. A peer to peer note giving process in our daily working life. Here’s one thing you could do better, here’s one thing you could stop and here’s something that you got just right. Informal continuous assessment to make sure that we all deliver a bit better today than we did yesterday, every day. Its darker now as autumn takes a hold. Brexit looms. Most businesses are calculating the impact of change; an unpredictable regulatory framework; the potential brain drain to our industry. The latest Bellwether report says that two thirds of marketing companies have frozen their spend. Campaign’s Gideon Spanier says that the signs are flashing amber. The traditional Christmas excess may surely be dampened this year by economic fears. The industry is also beginning a “post Weinstein” purge. Cindy Gallop has called for women to name names. There are one or two men out there, at least, surely nervously reconsidering whether they’ve ever abused the powerful position they have had with respect to the women they lead. From my perspective as co-author of The Glass Wall, success strategies for women at work and businesses that mean business, I’ve been out with Kathryn Jacob talking about inequalities in the workplace for over a year. Pre-publication we spent a year interviewing people for the book. There was more than one account of sexual harrassment. We only wrote about one in detail in the book as we were asked not to share the other stories. In the example given in full we had to change not just names, not just sectors but even the continent where the story was set before the person who confided in us was prepared to let us publish. People do not find it easy to talk in public about this. However, the more the experiences are shared, the more likely things are to change. Sexual harrassment is an abuse of power. It isn’t flirting, funny or acceptable. Few women escalate their experiences. No-one in our interviews wanted to name names. It is time for this abuse of power to end. It was very important to us when writing the book (about which Kathryn is speaking this week at the WeWork Thinking stage as part of the workspace’s autumn events series featuring leading authors), that we didn’t add to or create an “us and them” division between men and women at work. It’s a division between on one side the bullies, and on the other side the victims. Not men versus women. If you’re not a bully, and you’re not a victim, you must pick a side. Standing by isn’t neutral, it’s picking the side of the bullies. Lack of gender equality in senior management and the incidence of a poor and abusive culture is very often because of a toxic alpha culture that’s bad for all kind of talented people. Many of them are women. There are also many men who don’t thrive in this environment. We need to fix this problem together. Without hesitation. Any more delay is inexcusable. Speaking up for those that get spoken over in meetings – each one of us could do this today – creates a great loop of positivity as each of us passes this on. Including always calling out verbal or physical sexual harrassment instead of being embarrassed and silent witnesses is everyone’s responsibility. 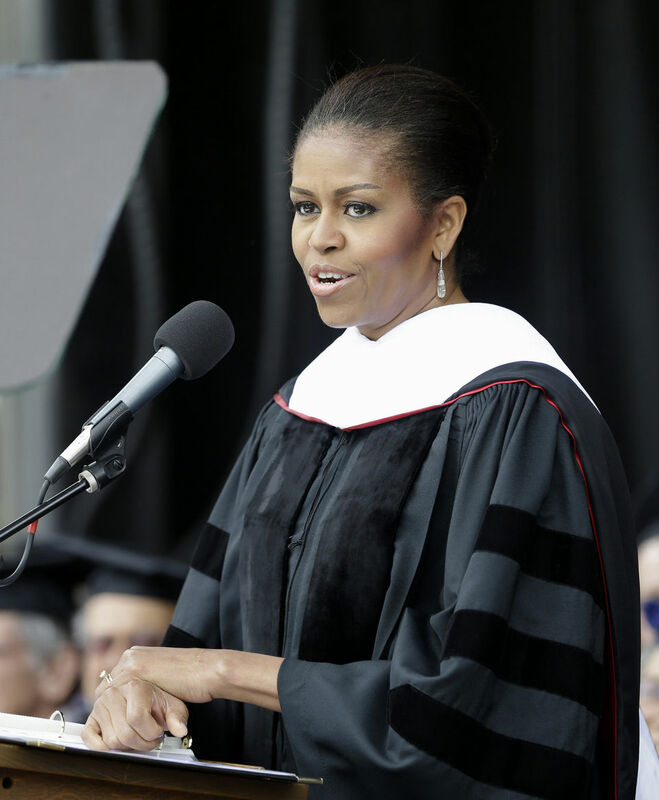 In 2015 Michelle Obama gave a graduation address to Oberlin College in Ohio. She encouraged the grads to make a difference, pointed out their privileged position and repeatedly told them that standing by wasn’t an option, and they had to get their hands dirty by getting involved, however messy it might seem. “Graduates, with a degree from this amazing school and all the status that the degree confers, you don’t get to have no hands. No, you don’t get to be precious or cautious or cynical…..You don’t get to have no hands”. We’re in a privileged position in our industry. We’re employed in a business with huge power for positive transformation. No-one should stand by while abuse of senior position goes on. You don’t get to have no hands. Speak up, share, support, smash the Glass Wall. 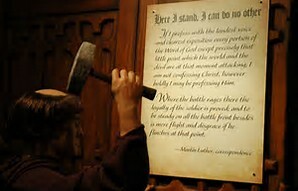 500 years ago, on 31st October 1517, Martin Luther nailed a poster on to the door of a church that changed history. Establishing, once and for all, the power of out of home media. Actually, not the point of this blog. Sorry poster fans. 500 years ago Luther nailed a paper with 95 theses on the door of a church in Wittenberg in Germany expressing his objections to the Catholic Church and sparking the Protestant Reformation across Europe. As many of you know, in England, this was spearheaded by Henry VIII who split from the Pope’s authority and announced himself Head of the Church. When this is taught at school reasons for the reformation are normally confined to i) Henry didn’t like control from Rome; ii) Henry wanted a divorce from older, and now slightly dull Katherine of Aragon who hadn’t given him a son; iii) He had a crush on Anne Boleyn; iv) He wanted to acquire the considerable wealth concentrated in the monasteries. Less frequently cited is the reason Tudor historian Suzannah Lipscomb gives: his absolute need to be right. She references a book “Mistakes were made but not by me” which examines “psychological dissonance” which happens when someone holds two beliefs that contradict each other. When someone who needs to be liked or respected (as most of us do) does something that deep down they know is unlikeable or shameful. The book argues that this is so uncomfortable that it’s only natural to try to resolve it. Some people will go to any lengths to do so. Like Henry VIII. Like someone who expresses an opinion that he’s believed deep down for years, finds that he is challenged on it by other opinion formers and then has to find a way to prove that he’s still in the right. Perhaps he’ll acknowledge a misunderstanding ie that what he said was misinterpreted by everyone else. Or give a non-apology apology where he says he’s sorry for upsetting people (but not for his beliefs or his lifelong actions based on those beliefs). Lipscomb comments: “there may be exceptions but few people in history could not justify to themselves whey they did what they did and why it was – contrary to all odds – actually the right thing to do”. You will be able to think of your own examples from history. You will be able to think of your own examples from the present day; on the world stage; in your personal life; in business. The best leaders acknowledge when they are in the wrong. It’s a characteristic to look out for in a manager or a leader. Does your boss admit when they were wrong and perhaps even when you were right? The only thing worse than making a mistake at work is not admitting it and asking for forgiveness and help. Our brains are wired for self-justification, our first recourse is to find a reason why everyone else is wrong. Its hard work however. The wronger you are the more effort it is. Freeing yourself from this effort is not only healthier, and happier, it will also make you more productive and a better leader.